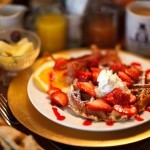 At the Phineas Swann, we are very proud of our breakfast fare. 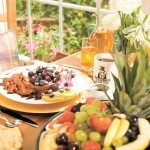 We prepare hot breakfasts that will tempt even the most seasoned breakfast-skippers to indulge. Breakfast is served to guests in our glass enclosed dining porch, and in the summer, on our sunny back deck overlooking the gardens. In the morning, these areas are flooded with sunlight, and you can easily view the birds at the many birdfeeders. The highlight of our dining area two huge hand-carved 1880’s oak sideboards, each 9 feet tall, and weighing in at over 2,000 pounds. 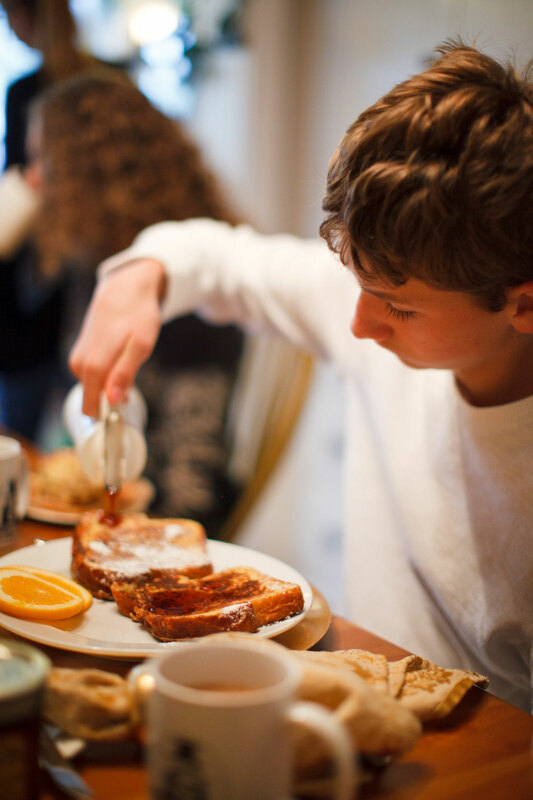 Each morning at 8 am (7 am during ski season), we cover them with huge helpings of breads, cereals, juices, yogurt, coffee and tea, and a large selection of chopped fresh fruit for those who want to get an early start – perhaps to hit the slopes in winter, or bike and hike in the summer. These goodies are also kept around a bit later for our late risers. 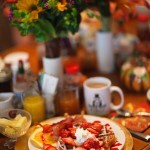 After sampling selections from our sideboard, guests enjoy a hot country breakfast from our kitchen. 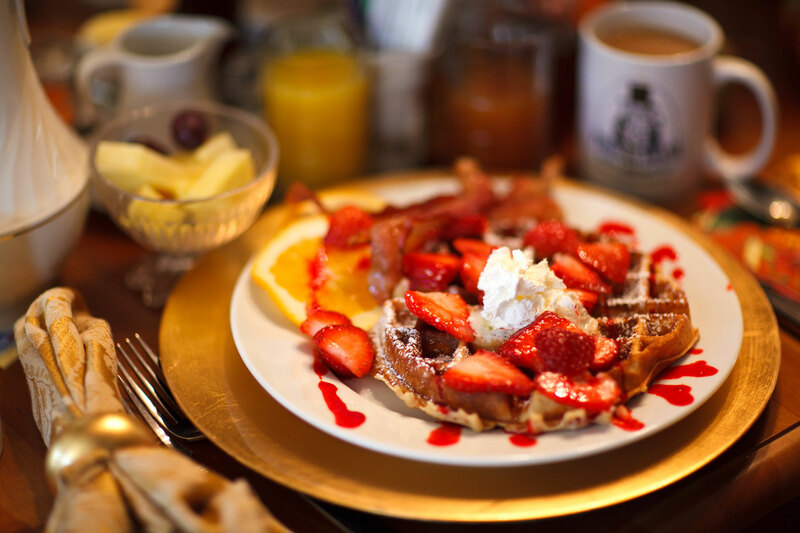 Our specialties include raspberry stuffed French toast, huge country omelets stuffed with Vermont cheddar cheese, strawberry crepes, and our famous banana walnut pancakes. We use only the freshest ingredients in our breakfasts, and we’ve made a concerted effort to have them locally sourced whenever possible. 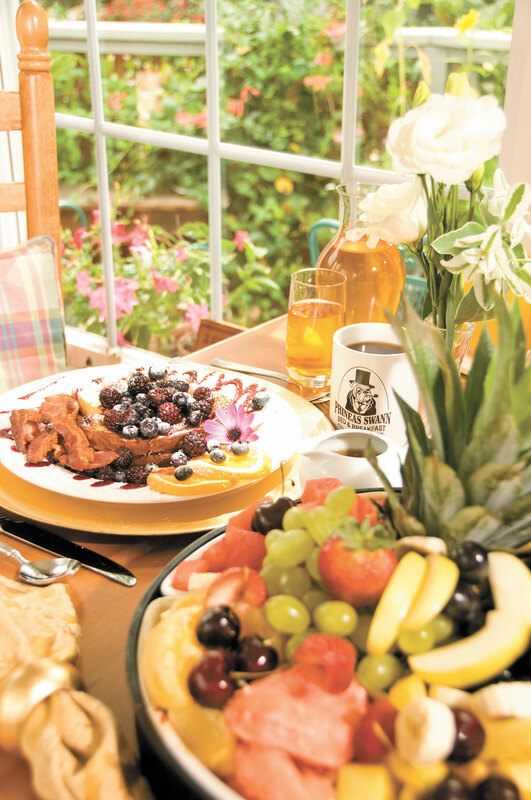 When you visit, you’ll get to savor blueberries picked just down the road, Lynne’s homemade bread, eggs from chickens a few miles away, and plenty of pure Vermont maple syrup from one of our local sugarhouses. 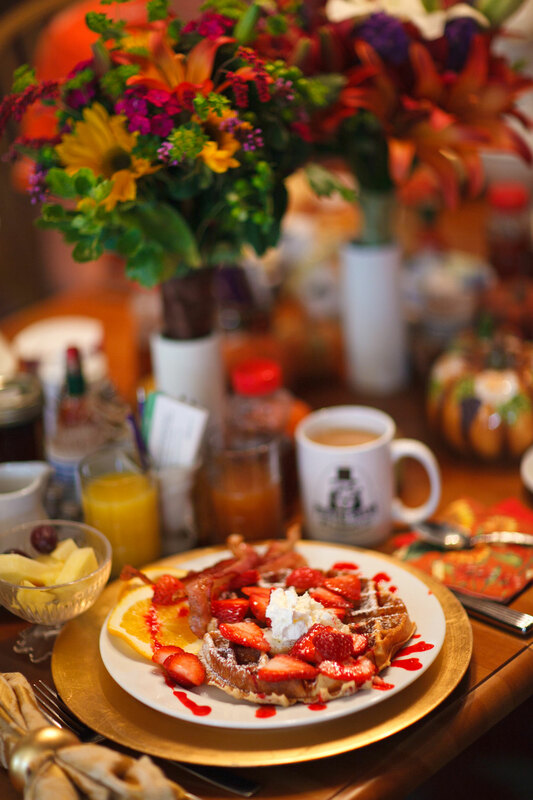 The Phineas Swann is able to accommodate guests who have special dietary needs, including lactose intolerance, gluten intolerance, diabetic, and even all three together. We have a special slate of recipies, so please let us know in advance if you have any allergies or dietary needs so we can do our best to accommodate you during your stay. 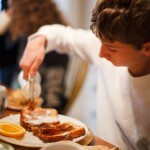 Hot breakfast is served between 7:30 am and 9 am in the winter (giving you plenty of time to make first chair! ), and between 8:30 and 9:30 am in the summer months. We can also, with a little bit of warning, provide packed lunches for a nominal fee if you plan to be out and about.